This Wright designed family compound which was built on "Situated on the 11-acre Petra Island in upstate New York's Putnam County, the property, known as the Massaro house," according to a DailMail online article by Kelly McLaughlin which was posted today. 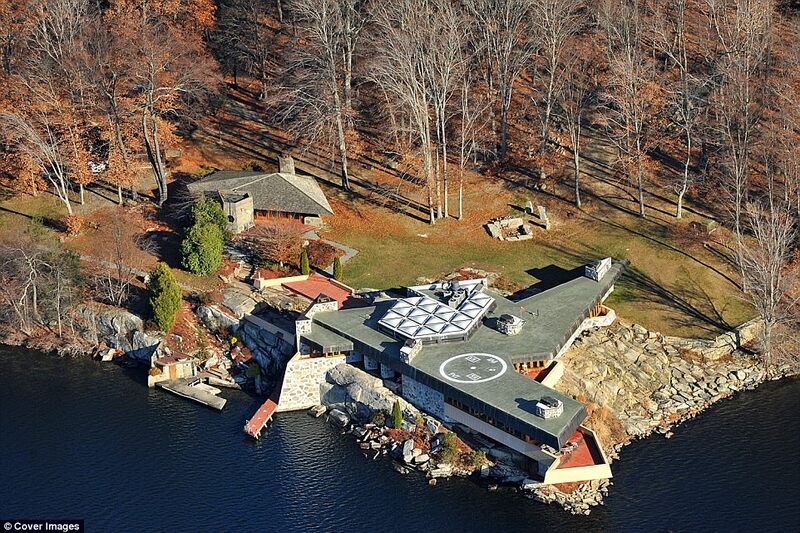 It is on Lake Mahopac and is a 15-minute helicopter ride to Manhattan, thanks to it's roof helipad. 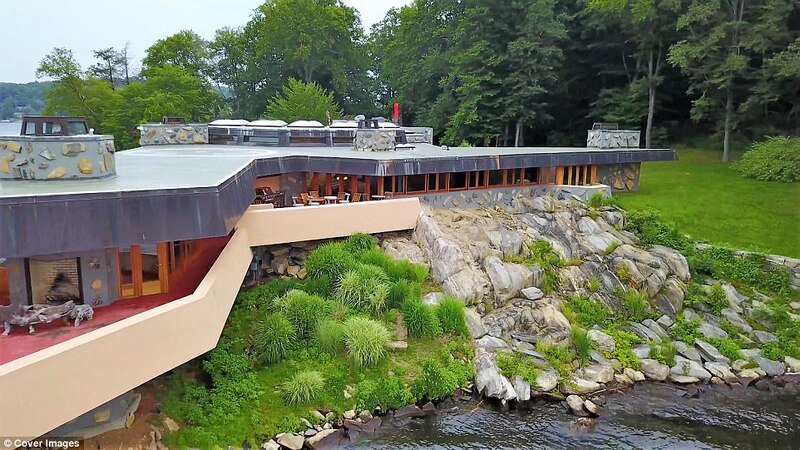 The house and island is for sale for $14.9 and is evocative of the architect's most famed creations: Fallingwater which is located in Pennsylvania. This house is very curious though. It was originally commissioned in 1950 by the owner of the island, engineer, Ahmed Chahroud. Alas, Chahroud, could not afford the $50,000 expense to build Wright's design. The Petra Island was eventually bought by Joe Massaro by a new owner who bought Petra for $70,000, who commenced construction of Wright's blueprints. It took four years and Wright's house finally completed in 2007. It is impressive. The furniture looks to be all evocative of Wright. 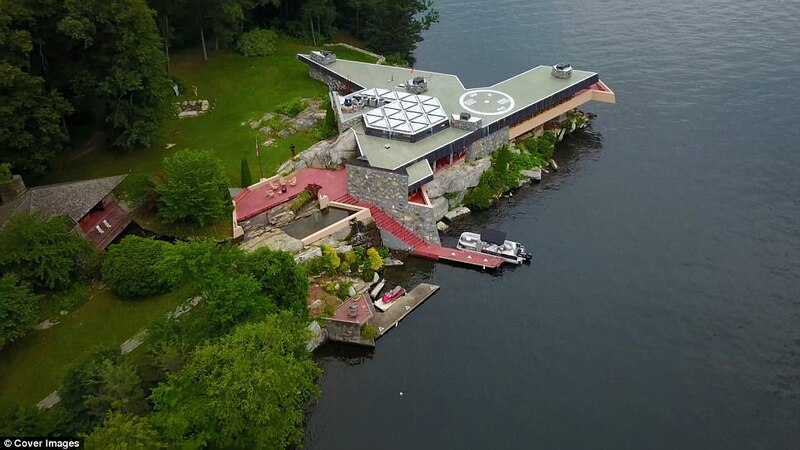 It looks as though it was built in 1950 when the architect originally designed it. It remained fateful to the famed architect's design and beliefs. When I was a kid I was obsessed with architecture. At the time I was obsessed with Frank Lloyd Wright and I recall checking out every book from the library about the man and his designs. I still love architecture. It is one of my few fancies these days. I so wish I could have become an architect but alas, I have found algebra, geometry, etc to be utterly impossible. This is a wonderful story. 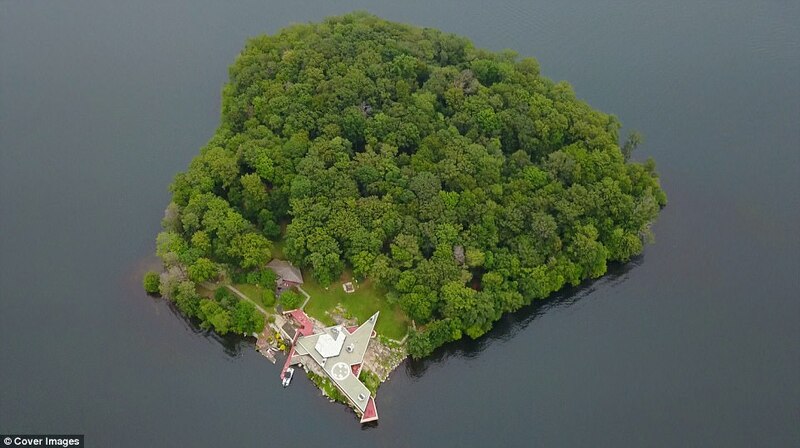 A heart-shaped island within minutes Manhattan, with a Frank Lloyd Wright designed compound (house and two guest houses) which was not built until 2007, over a half century after the architect designed it in blue print. This is really neat and very interesting. I, too, wanted to be an architect when I was young, but also found the mathematics too overwhelming.